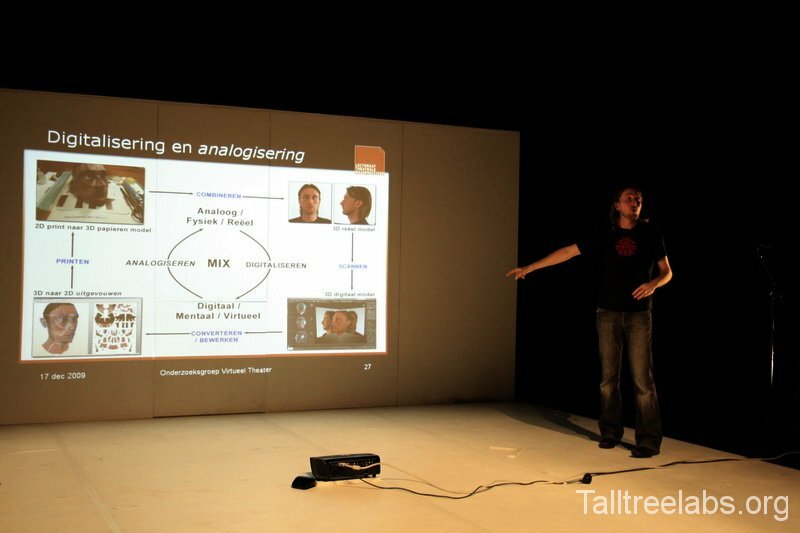 This 8,5 minute video gives an overview of the 2 day workshop called “The intersection of analogue and digital 3D space” we have given at Scenofest, which is part of the Prague Quadrennial 2011. Go here to read and see more about the workshop. The video’s are at 1080P HD quality. Please select a resolution appropriate for your Internet connection. Below you can read our workshop proposal as send to the Scenofest organisation. In this two day workshop students are invited to explore the possibilities of combining or mixing analogue and digital space. Students are asked to find a new visual language in the intersection of these spaces. Special attention is given to the challenge to create meaning and interaction between these spaces instead of only doubling space by using projection. 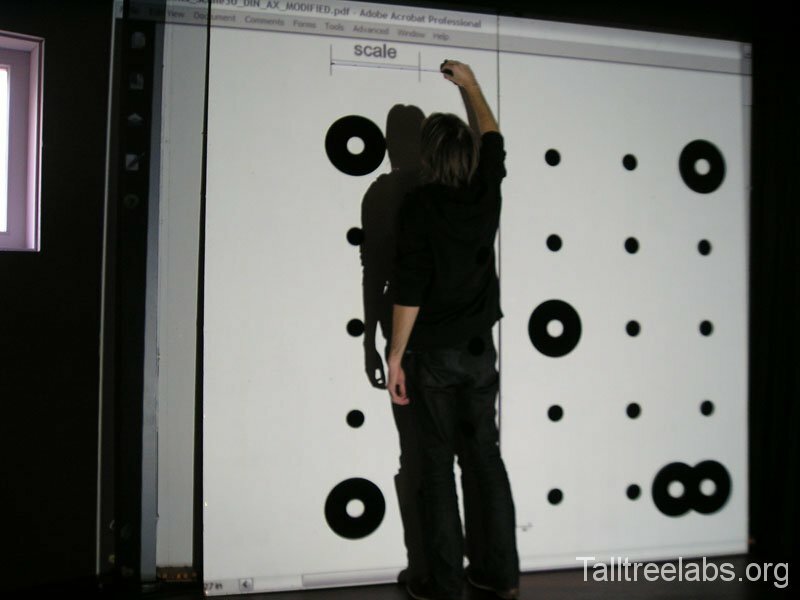 Both 2D and 3D digital graphics are projected on a physical space in a perpectively correct way. To facilitate this exploration 3D engine software and projection mapping techniques are used. The physical space will be a scale model for practical reasons. 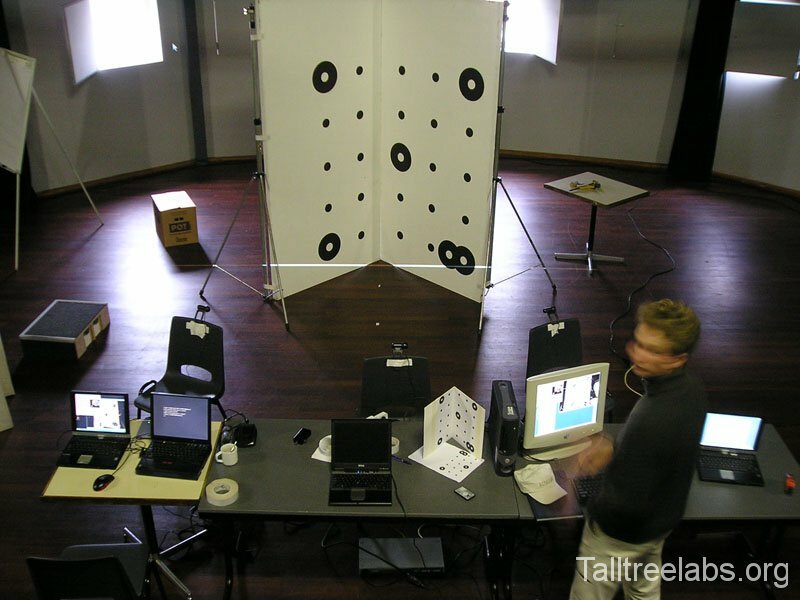 The graphics are not mere static videos but live interactive environments. For which parts of the Performance Engine will be used. Depending on the time simple forms of live interaction are explored. This12 minute video is an unedited compilation of all the presentations / performances that the participants have given as part of the 2 day workshop called “The intersection of analogue and digital 3D space” we have given at Scenofest, which is part of the Prague Quadrennial 2011. Go here to read and see more about the workshop.